At times, writing blogs and creating content for consumption can be a bit more of an art than a science, but that absolutely doesn't mean we can't be empirical about the process. It's easy to see why as well. Common sense dictates that in the age of Facebook, Twitter, Google Now and Siri – we're used to having easy-to-digest nuggets of information thrown at us. "It's evident that a fully fleshed out site with a lot of quality content is going to be favoured by Google. For most SERPs (search engine result pages) it looks like at least 1,500 words is a good target." "If writing isn’t your strong point, finding someone who can create compelling sales copy, blog posts or informative content is going to pay off in a big way down the road." But that's just Google, right? And despite their best efforts, search engines still tend to act very differently to humans. Well, perhaps, but let's get our hands dirty with some human-driven data. Using my favourite content analysis tool, Buzzsumo, I assessed how length of content correlated to social sharing in relation to two of the most 'boring' topics I could think of over the past year. Out of nearly 12,000 articles on 'local government' the sweet spot fell between 1,000 to 3,000 words and dropped off markedly for content over and under this word count. Of 748 pieces on 'water softeners' – content of between 1,000 to 2,000 words saw a significant increase in shares across all major networks when compared to both lower and higher word counts. – articles between 1,000 to 2,000 words were far and away the most popular, straddling 25 shares a piece. tively marginal difference (41 shares on average) – bbc.co.uk stayed true to the rule, with 1,000 to 2,000 word articles ruling the roost. Similarly, drilling down into just BBC News revealed a huge disparity – with content topping 1,000 words generating more than 1,200 more shares than that which fell under this length. The same even proved true of the Daily Mail, where articles over 3,000 words generated an average of 7,000 shares a piece, while content under 1,000 words saw just over 500 less shares than that of 1,000 to 2,000 words. Correlation doesn't always equal causation and there could be a number of other factors at play here, but given the myriad statistics, plus all the analytics and anecdotal evidence I've seen over the years – I'm convinced. So why do longer articles tend to perform better? One common answer is 'skimability'. 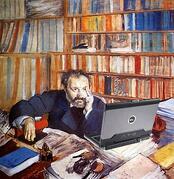 "People rarely read Web pages word by word; instead, they scan the page, picking out individual words and sentences." He went on to describe a study that found 79 percent of test users scanned new pages, with only 16 percent opting to read word-by-word. This is backed up in my mind by the type of analytics I've seen time and time again, with users racking up a couple of minutes' worth of average dwell time on popular, long-form blog posts that would take at least good five minutes or so to read word-for-word. When it comes to producing content that your audiences will find useful and engaging, the rule of thumb should be 'better too much than too little'. By providing in-depth information on a topic, you can cater for readers of all levels – letting them flit to the parts that matter to them, whether they're already familiar with the concept, or are being introduced for the first time. Another contributing factor to the near-universal popularity of long-form blog posts is that article of this size tend to correlate to those with the best substance. After all, ~500 words is sufficient to report the facts of a matter, but doesn't leave room for much analysis – while you'd have to set aside a serious chunk of time to tackle something that's over 3,000 words. "No matter what topic modelling technique you choose, all rely on discovering relationships between words and phrases. As content creators, how we organise words on a page greatly influences how search engines determine the on-page topics." 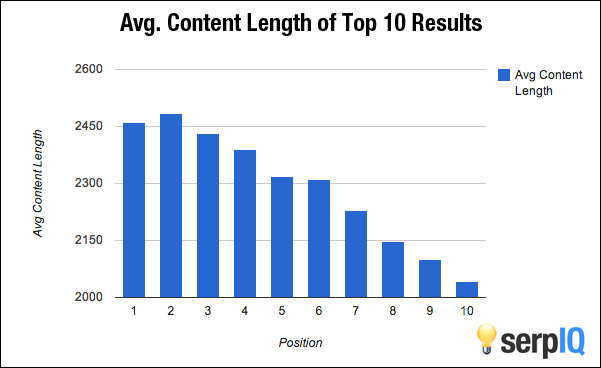 And as QuickSprout's Neil Patel posited in his research into content length – the longer your content, the more opportunities you have to include semantically-related keywords that search engines pick up on. 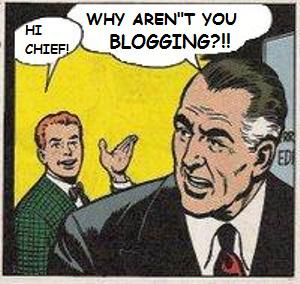 As with most things digital, stipulations on bigger blogs comes with some caveats. While long-form content tends to perform better – it's not always the right choice. You shouldn't be padding out articles just to reach some arbitrary word count goal, especially if this detracts from the reading. Shorter blog content can make sense in some scenarios – if you're reporting on company news or a milestone your business has reached, for example. Similarly, what applies to blogs doesn't necessarily apply to your site's other pages. So don't start flooding product and service pages with words at the expense of your site's usability. 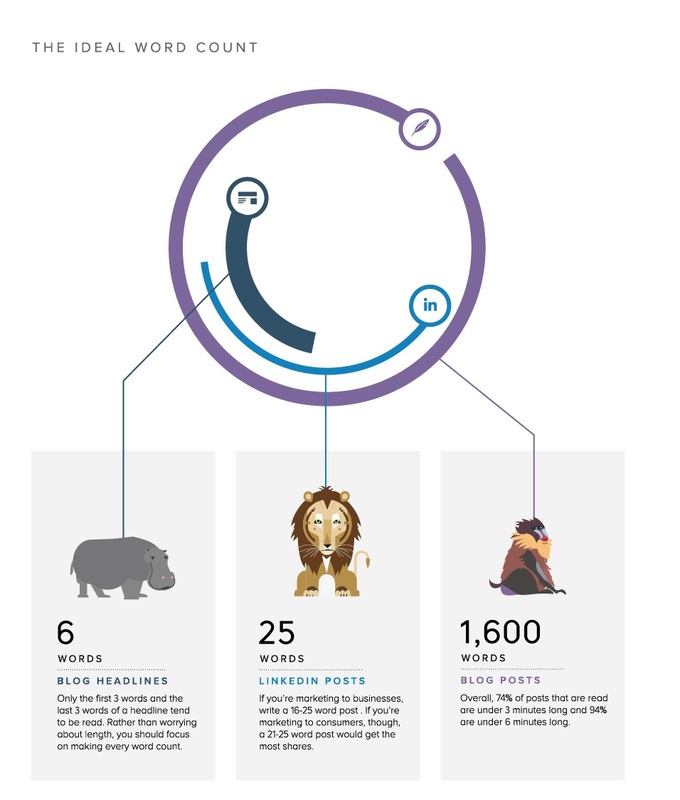 Sheer length isn't a silver bullet either and blogs still have to be valuable and engaging if you want them to succeed. While we've previously discussed some of the issues that prevent business blogs from being a genuinely useful marketing asset in general, the production long-form content comes with its own set of unique problems. Approach: Given the ubiquity of search, I'm still often taken aback by the disdain with which web assets – like blogs – are viewed by many organisations. It's especially good for B2B companies. "Surely a bit of content now and then is better than none at all?" This both isn't necessarily true, as producing content the likes of Google judge as 'thin' can negatively impact your search performance, and even if it was, it's analogous to putting a plaster over a gaping wound. How to incentivise the best performers. Collaboration: Given that blogging can contend with people's day-to-day work, one preferred route is to outsource – either to a trusted external agency, or to a junior(ish) member of staff who has a bit more time on their hands. This is a great route to take, but you shouldn't fall into the trap of treating it like another outsourced service, like HR or accountancy. As with most marketing and PR – good blogs rely on the strength of collaboration. Your senior staff will have oodles of knowledge and insight locked inside their heads. They know who you're trying to talk to, what it is they want to know and you need to make their brains available for picking. While it's possible, and sadly commonplace, for non-experts to cobble together a passable article based on nuggets of information they find out via research – collaborating with an expert can make all the difference when it comes to producing a blog that will resonate with your key audiences. Make the expectation for collaboration clear and work out how to make it happen. Written without effort = read without pleasure: If you're writing a business blog, chances are you'll have to tackle something less-than-interesting now and again. Not every blog can be a nail-biter, but you can't treat it like a chore. Even if the topic is fairly bland, take the interesting aspects and maximise them. And if you're confined to reeling off facts – present them in as engaging and easily-digestible a format as possible. If you find yourself half way through composing a post and are losing the will to live – imagine how your poor readers will feel. If a concept isn't working out – don't be afraid to throw it away and start over, or simply take a different tack. Hit and miss: Be prepared for failure. You can painstakingly compose a blog, choosing the topic based on the best data available and emulating other successful posts, and it still might not make a dent. Similarly, something you treat as a bit of a throwaway can suddenly explode in popularity – generating a flood of interest. Don't be disheartened by failure and try and learn what's resonated with your audience based on your triumphs and tribulations. If you've got any questions about anything I've talked about above (or anything content related in general), be sure to leave a comment or fire me a tweet – seriously, I could talk about this stuff all day. Images used courtesy of Medium, SERP IQ and Wikimedia Commons.